I am very glad there’s a new seafood stall at the Capital Region Farmers Market. 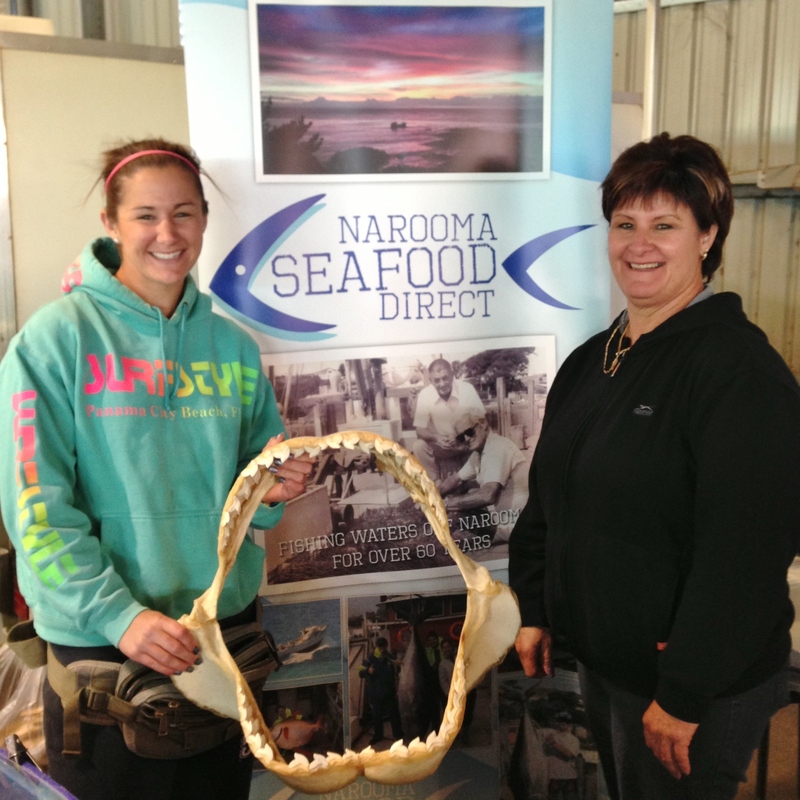 Narooma Seafood Direct are a family operation. They own a boat and catch fish. Now they also bring it to Canberra and sell it to me at the farmers market! I love to have such direct access to the source and producers of my food. This week I bought a black snapper fillet from them. Black snapper has a delicate flavour so I wanted to treat it simply, pan fried in butter and olive oil. With the parsley going crazy, and fresh onions in the market, I thought I could serve my fish with home made tabbouleh in pita bread. You could use any white fish for this recipe, and add a little tzatziki to the pita if you’d like. Place the burghal in a bowl with a cup of hot water. Leave to rest for up to an hour. Drain and rinse the burghal then transfer to a mixing bowl. Finely dice the onion. Slice the tomato and then finely dice the slices. Finely chop the parsley and mint. Add all these ingredients to the burghal and mix. Grate in the zest of the lemon. Cut the lemon in half and squeeze in the lemon juice, being careful to catch any pips. Add the olive oil, mix and season to taste. Cover and set aside. Thoroughly coat the fish with flour and chilli (if using). Melt the butter in a non stick frying pan on a medium heat. Add the oil. When the pan is hot add the fish and cook for a few minutes. It should be golden brown. When you look at the side of the fillet you should be able to see the fish has turned white halfway up the edge of the fillet. Flip the fish and cook for a few more minutes on the other side. Remove the fish from the pan and leave it to rest on a board or plate. Place your pita in the pan to soak up any juices and refresh the bread. To serve, scoop a generous quantity of tabouleh in the middle of the pita in a line that covers three quarters of the diameter of the bread. Lay the fish on top of the tabbouleh. If you’re using tzatziki, add it at this stage. Fold the uncovered end of the pita in, and roll over the sides. Enjoy immediately. This entry was posted in Dinner, Lunch, Spring, Summer and tagged Capital Region Farmers Market, Greek food, salad, seafood. Bookmark the permalink.